I was speaking at a conference in the beautiful city of Bangor, Maine. One of the hosts, an entrepreneur, invited me to lunch at his home on a lake. As we enjoyed our meal and conversation, I looked up to see the magical soaring of a bald eagle. It was the first time I had ever seen one in person and in the manner they are built for—free! Eagles are meant to fly. They’re built for soaring high and far. They’re majestic and magnificent in motion. Eagles pamper their offspring in the early days of their lives—preparing the nest to be comfortable, providing all of the food the chicks can eat, and protecting them from any attempt on their young lives. However, when the time is right, the mother begins to pull the comfortable bedding out of the nest, exposing the sharp sticks. The eaglets don’t know what to think. What once was a very comfortable lifestyle has suddenly become uncomfortable and even hostile. The mother knows the greatest temptation for her young is comfort. So she begins to push the eaglets out of their comfort zone—even pushing them out to face the fear of flight! 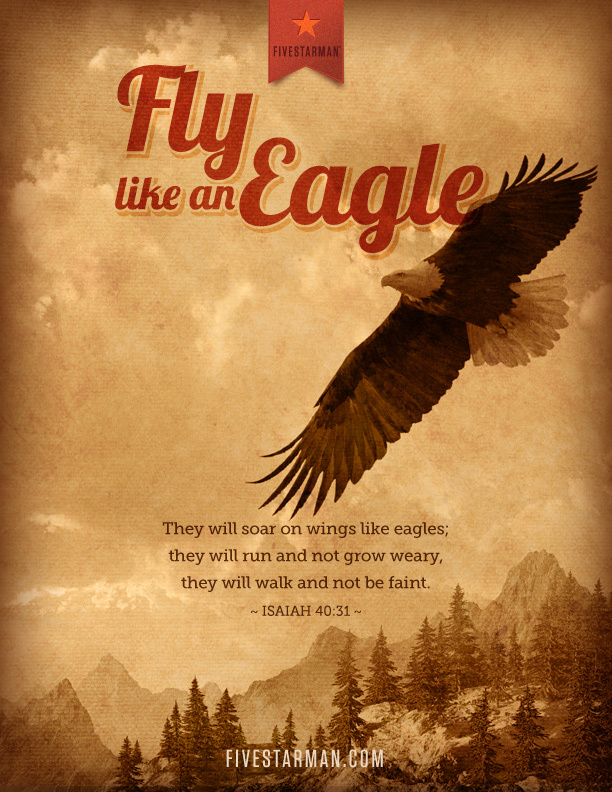 However, once an eagle feels the wind under their wings, they are forever free to soar to the heights of their expectations. We all want the best for our children. We work hard to provide a place for them. We protect them. We bring provision in every way. But there comes a time, however difficult it may be, to make the nest uncomfortable—to push them out of our nest so they can experience the taste of flight and freedom. The greatest temptation for our children is comfort. Recently, among the very wealthy, a new philosophy concerning the passing of their wealth to their children has taken hold. Rather than passing on enormous wealth to keep in the family, the wealthy now create foundations to manage the distribution of their funds to various causes, leaving only a small portion to their children. This is simply for the purpose of not allowing their children to be too comfortable and not live productive, purposeful lives. You may not face the difficult decision of passing a large estate on to your children. But you will face the challenge of nudging or even pushing your children out from under your protection and allow them to free fall until they find their wings. It’s not easy, but that is exactly what we must do as fathers. We must let them find the freedom to soar. Even eagles need a push.